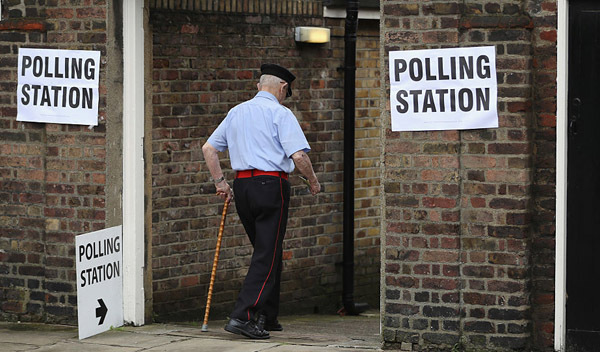 As commentators have begun to unpick the voting patterns of the UK electorate following the European Union referendum, in some quarters an ageist viewpoint has been adopted to explain why the UK voted to leave. I expected this as a campaigner against ageism: older people are wrongly blamed for many different issues in society. But that doesn't make this latest onslaught any less unjustified in its foundations or appalling in its articulation. If an older person is from a minority ethnic community, he or she may well be feeling attacked by more than one element of society. The UK I know and love is not an intolerant country. Everyone aged 18 or over had a vote and an equal chance of contributing to the outcome of the referendum. Blaming older people for somehow 'stealing' the futures of the young is misguided and unfounded, and at worst could lead to a rise in elder abuse. Respecting the outcome of this democratic process, and how our fellow citizens of all ages, races, genders, sexual orientations, religions and nationalities voted, is vital in building the bridges the UK so desperately needs. Many older people I know voted to remain in the EU and many younger people voted to leave. It is divisive to suggest that any one group 'controlled' the outcome of the referendum. Frankly, unless every ballot paper is traced back to every person on the electoral roll, it is impossible to know how any one group voted. Everything else is opinion polling mixed with often bitter commentary. For our care home communities, setting the record straight is particularly important. Care for older people in these settings is provided by a multicultural workforce of mainly younger people. Feeling that the people you are caring for are under attack from ageist attitudes is as unpleasant as seeing that overseas workers now feel unwelcome in the UK. The racism that has surfaced since the referendum result has been roundly condemned and ageism, wherever it arises, must be similarly defeated. Our care home residents may already feel marginalised from society as they live with multiple long-term conditions and may, even in communal accommodation, experience immense loneliness. The way in which many care home communities demonstrate, on a daily basis, how intergenerational relationships between residents and staff bring joy and happiness to the lives of everyone living and working in homes is an example the rest of the UK would do well to follow. Respect for each other and for different viewpoints is the cornerstone of compassion, kindness and being person-centred. The wisdom and experiences of our older generations are as relevant now as they were before the referendum result. Championing them, and the way they enrich all our lives, is vital in combating ageism wherever we see it.